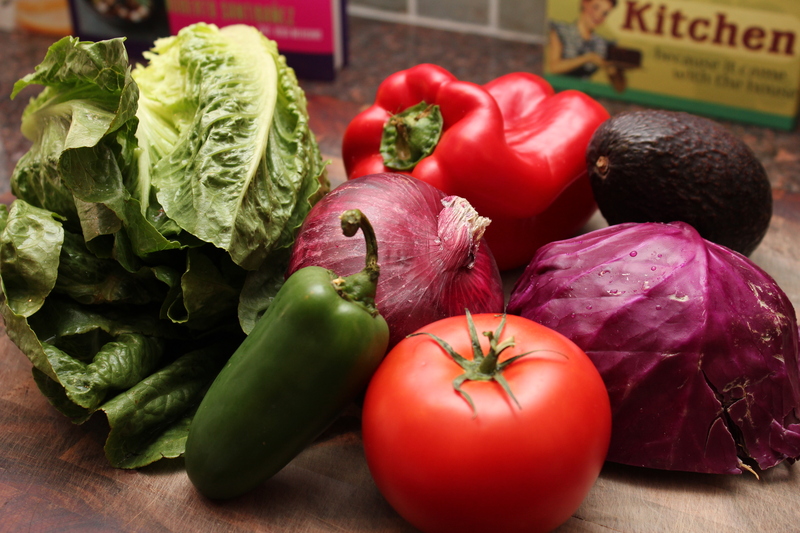 In my attempt to spend less time throwing out unused produce I’ve been looking for creative ways to use up all the veggies I seem to collect in my crisper. 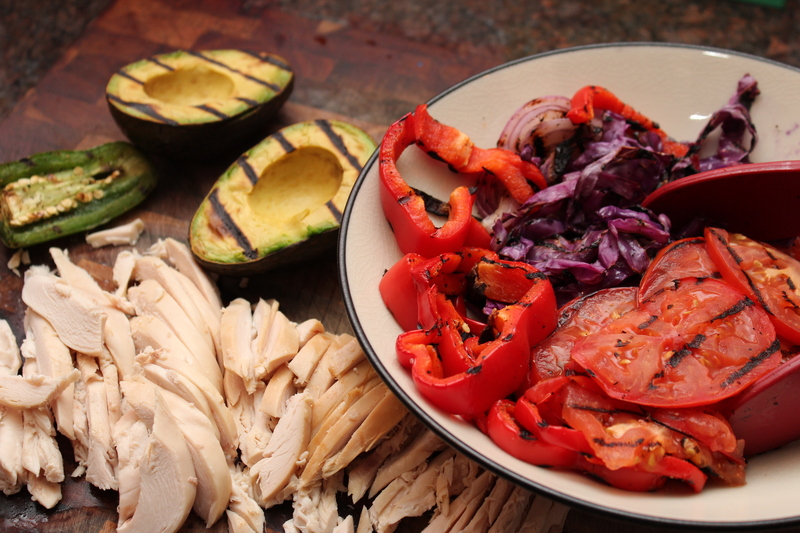 My obsession with red bell peppers continues along with my new found love of red cabbage. 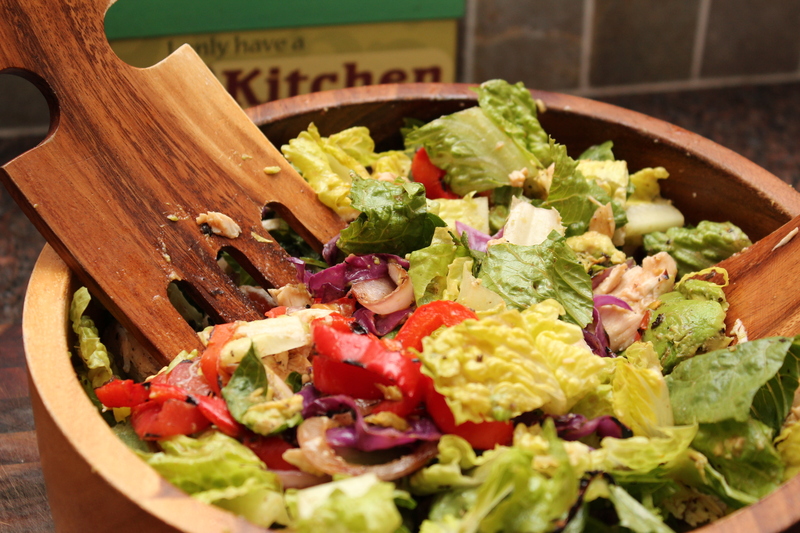 It’s amazing how these veggies transform with a drizzle of olive oil and a little bit of heat. Delish! 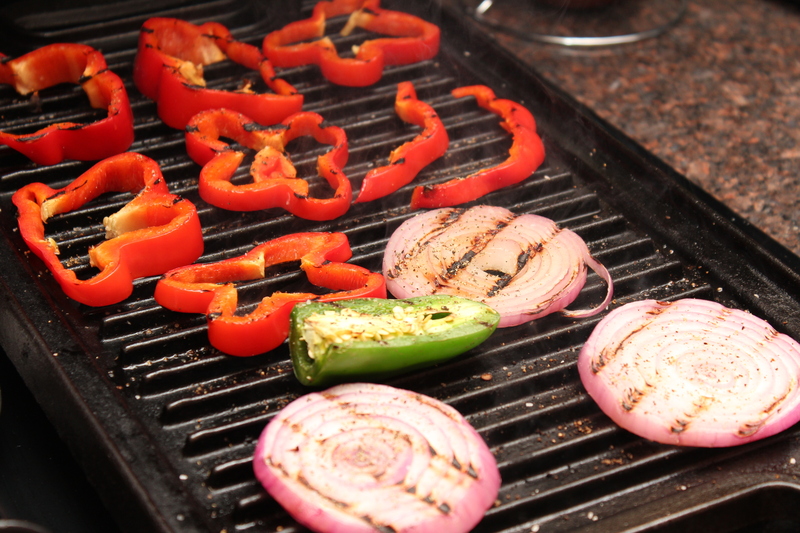 Preheat an outdoor grill or grill pan to medium high heat and brush with olive oil. Season the veggies with salt and pepper. 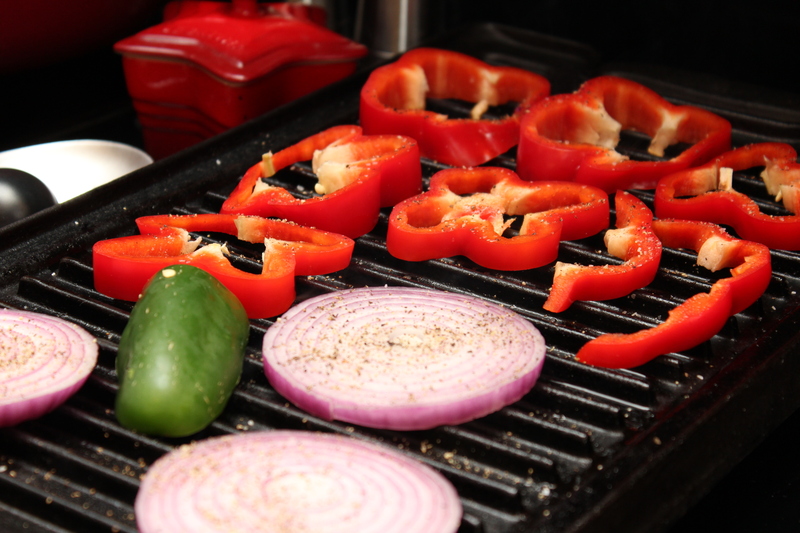 Grill the bell pepper, jalapeno and red onion for 4-5 minutes on each side until nice and heated through, almost limp. Remove from the grill. 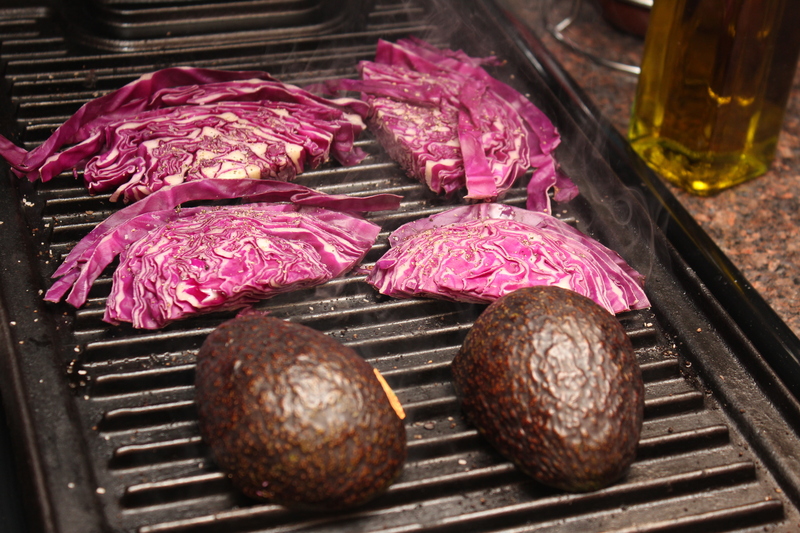 Lightly drizzle the cabbage with olive oil and place on the grill along with the two avocado halves. Grill for 4-5 minutes, flipping the cabbage halfway through. Remove the avocado and cabbage. 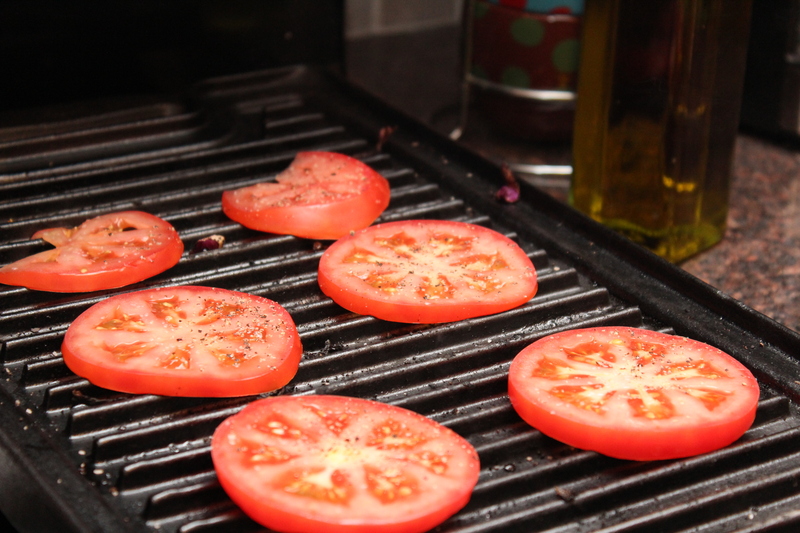 Grill the tomatoes for 2-3 minutes on each side until slightly charred. The tomatoes will cook quickly on the hot grill so keep an eye out. Set the tomatoes aside with the rest of the veggies. 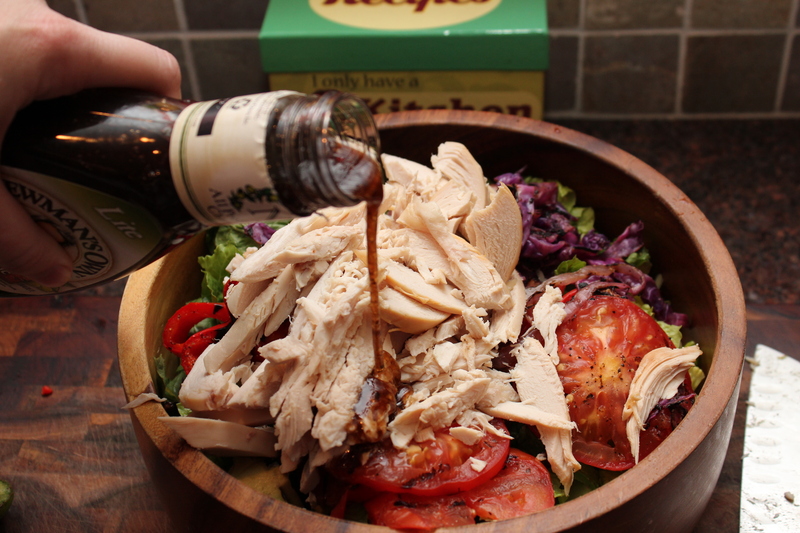 Mix the veggies and chicken together with the lettuce in a large bowl and drizzle with the dressing. 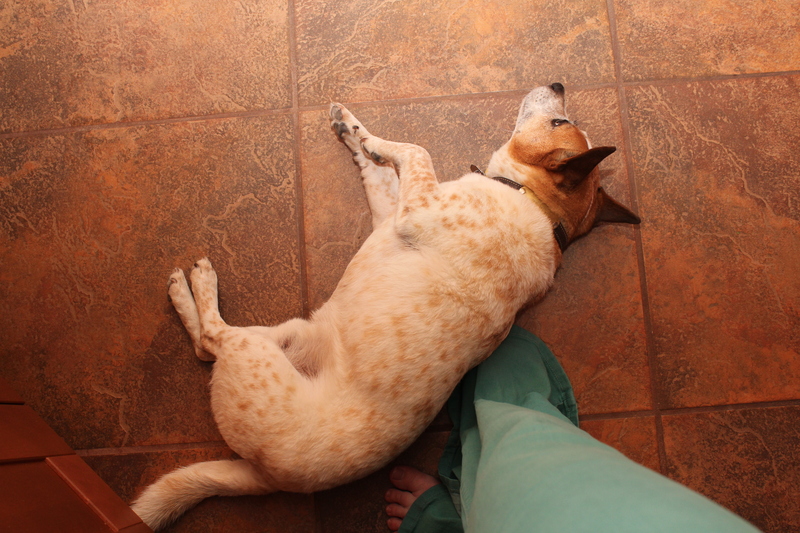 My favorite little kitchen companion, Max! You’ll also find my lab, Mitsy, camped out on the rug waiting for something to hit the ground. Looks amazing! 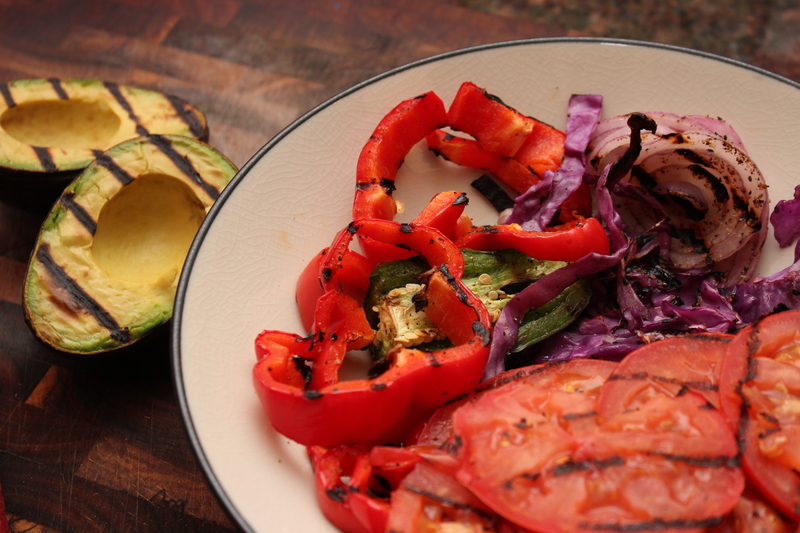 I especially love the grill marks on those avocados! Thank you! 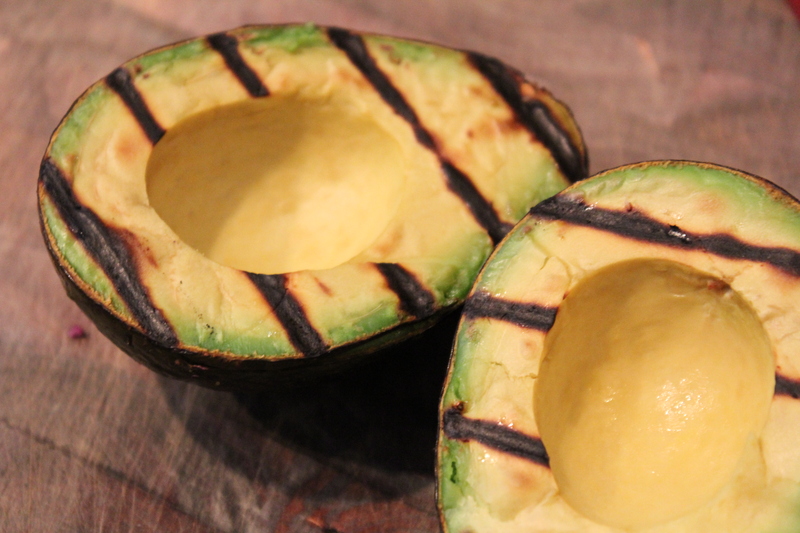 I love grilled avocados. It adds so much depth of flavor to the dish. Oooh, this looks fab! I love your doggie!